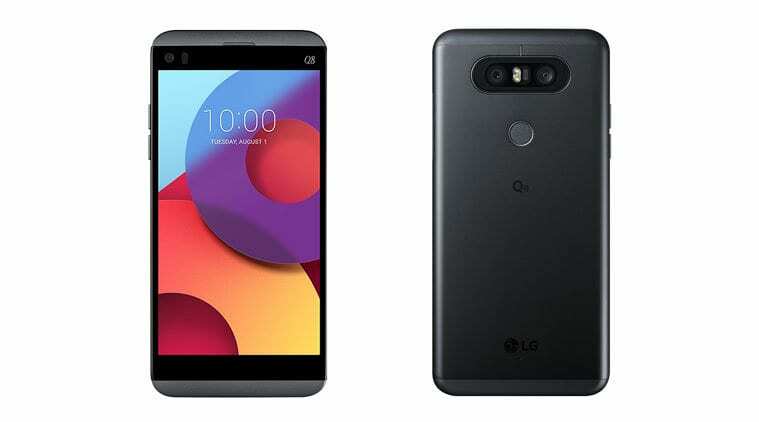 As an upgrade to the LG Q6, another member of the “Q” series have been announced. The previous member enjoyed a very significant amount of publicity, and the makers would be hoping this would be the case here too. LG Q6 was a device with a great display (compared with LG G6) at a low price. Stay with us as we show you the stuff the LG Q8 is made of. On measurements, the LG Q8 measures 149 x 71.9 x 8 mm. With its 146 g weight, the device seems very easy to be carried about by users. Some significant features are that it is IP67 certified to be dust and water-resistant. More surprising is the fact that its water resistance is up to 1 meter in depth and 30 minutes in time. The device comes in the titan colour variant. It has a fingerprint sensor which is located on the rear of the device. With a display size of 5.2 inches, there’s a ~69.8% screen-to-body ratio. The screen resolution of the device is pegged at 1440 x 2560 pixels. Quite impressing is the ~564 ppi pixel density the Q8 features. There’d surely be a display of bright and great on-screen images and icons. Protecting this display is a Corning Gorilla Glass 4 while the secondary display of the device is pegged at 160 x 1040 pixels. The Q8 device runs on an Android operating system v7.0 (Nougat). It is built on a Quad-core Qualcomm MSM8996 Snapdragon 820 processor. For your storage of music, videos, files and many other documents, the phone avails users with a 32 GB storage space. This space can be expanded to the tune of 256 GB with a micro SD card. While managing the smooth running of applications on the phone is a 4 GB RAM. We do approve of the size of RAM this device comes with. If you’ve been following, there has been an upward surge in the use of dual cameras in smartphones. Well, the LG Q8 is not left out, and not late to the party either. The device comes with a dual 13 MP + 8 MP camera, with laser autofocus, OIS, and a dual-LED flash too. Other features of the camera include geo-tagging, touch focus, face/smile detection, panorama and HDR. On the device’s front, there’s a quite not too impressive 5 MP camera. As its powerhouse, the device packs a non-removable Li-Ion 3000 mAh battery. Obviously, we can say that the phone is powered by a battery made for average smartphone users. Heavy smartphone users would find solace in a battery capacity pretty more than that. The price of the device and its availability has not been made known yet. But we expect it to be a bit higher than the price of the LG Q6. For now, we believe that sales would begin in Asia around August, just like the previous version.